2013 Voted #1 in all of Wisconsin-Grand Champion!!! 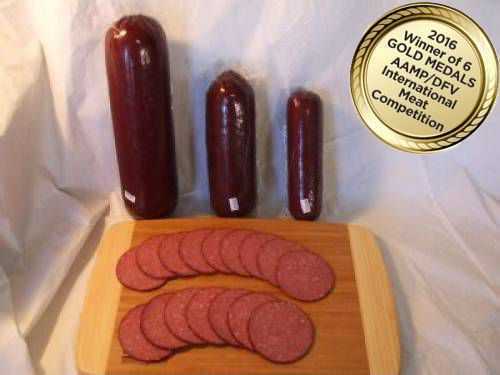 Our Award Winning #1 ALL BEEF Summer Sausage. You have not had summer sausage till you try ours. We start with very lean beef and add our secret award winning recipe. It then is cooked in our smoke house in small batches to provide the best flavor. You will be amazed by the taste and freshness.